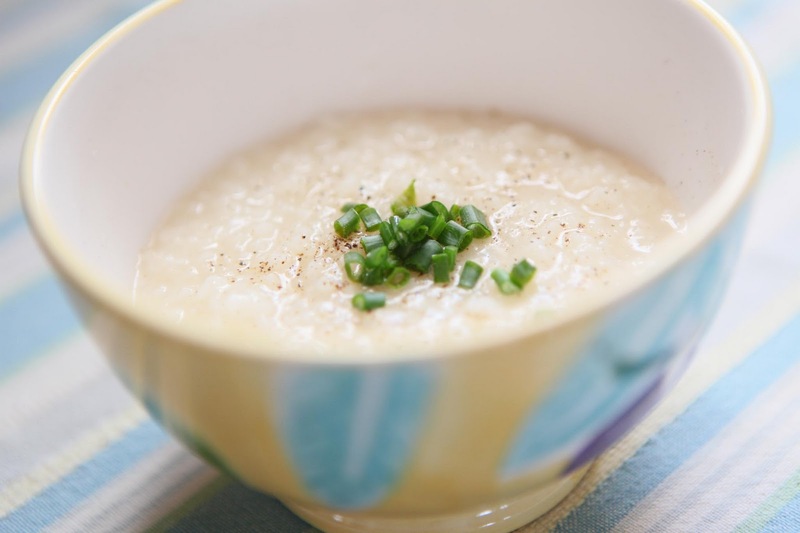 "Chao" is a savory rice porridge that is particularly comforting during times of illness, but really can be enjoyed anytime. There are many variations of it, but I make the most simple one. I find I typically have all the necessary ingredients on hand. 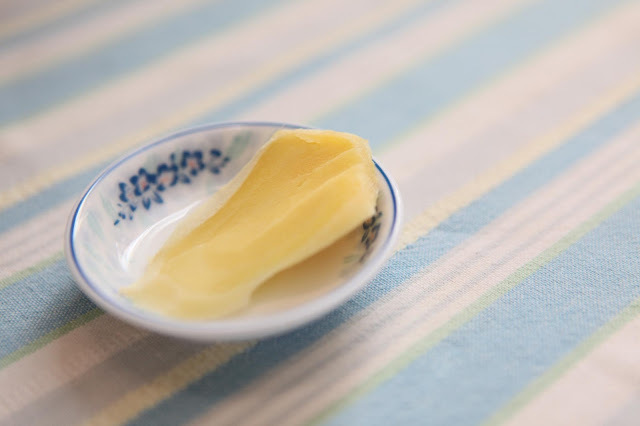 The soft, warm texture makes it easy to digest, and the ginger in here is good for upset stomachs. I also think the black pepper (if you choose to put it on top as a garnish) is helpful in clearing the sinuses. I hope you enjoy it, and find it as comforting as we do. 1. 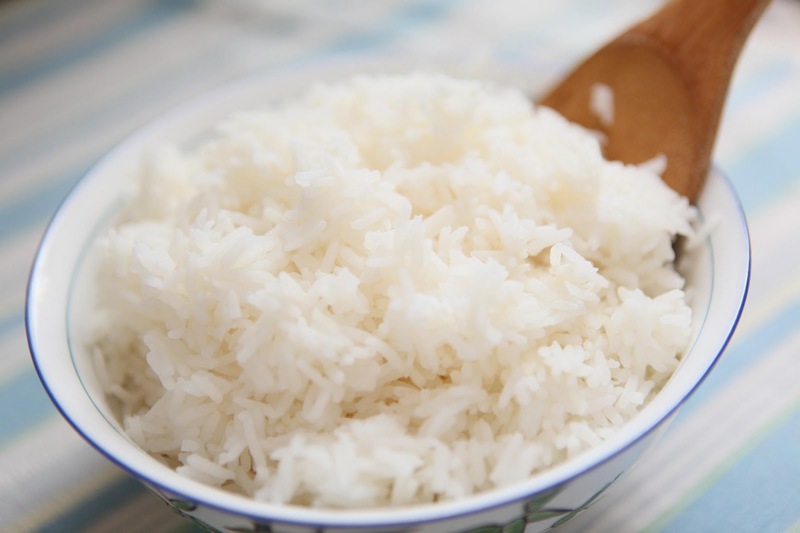 Rinse the rice and cook it in a rice cooker, or however you would normally prepare it. ~note: You could also make this a one-pot dish by cooking the rice in the stock instead of water (just be sure to add more stock, about 2 more cups worth). I find, though, I get a better texture by just pre-cooking the rice and then adding it to the stock. I feel it's also faster and easier this way, which are good things when you're not feeling well! 2. Bring chicken stock and ginger to a boil in a medium sized pot. ~note: If you don't have chicken stock already made, simply boil some chicken parts, such as a couple drumsticks, along with the ginger, in about 6 cups of water for 30 minutes or so before adding the rice. 3. Stir in cooked rice, a little at a time, until the porridge is a bit thinner than your desired consistency. 4. Add the sugar and fish sauce. 5. Let the rice cook with the stock on low heat for about 15 minutes, which will further soften and break down the rice. Cook longer if porridge is still too thin for your liking, or add more stock if you want it to be more soupy. 6. Ladle into individual bowls and garnish with black pepper and green onions, if desired. Thanks for posting this, Jaime. I wanted to make this awhile ago, but using brown rice...I was unable to find any references to making it with brown. Do you think it would work as well? Yes, I think it could work with brown rice, too. You'll probably just have to cook it longer (I'd say at least twice as long) and add more liquid (double maybe?) to get the same texture. Let me know how it works when you try it! What a nice food for an upset tummy. I was wondering, what is the purpose of rinsing the rice? And how do you do it without the rice going down the drain? This sounds like just the thing when feeling under the weather, especially with the ginger! Thank you for sharing! Never heard of this recipe....thanks for sharing. I must learn to grow my own ginger...I hear that it is not that hard. Jaime, your food photographs are SO deliciously beautiful, they make me hungry every time. Gorgeous. Now I am going to find a snack.